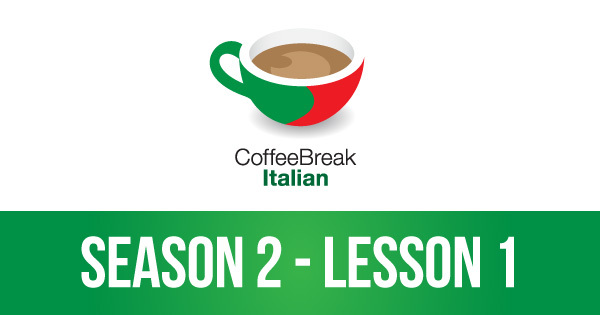 In lesson 1 of Coffee Break Italian Season 2 you’ll take the first steps in learning to manipulate the language and say what you want to say! Lesson 1 focuses on regular -are verbs, and you’ll learn to conjugate these verbs in the present tense. Join teacher Mark, native speaker Francesca and learner Isla in this first episode of our new series. unfortunately I can not see the link to free audio lesson. Hi Sarka. You should be able to use the acast player which shows underneath the section titled “Listen to the episode”. Click on the yellow Play button in that player. If you can’t see this player you may need to use a different browser or update your software. Hope this helps. Hi, Mark and Francesca and the whole team of radiolingua. Mi chiamo Inessa e sono di Russia. I’ve been meaning to leave a response for a long time, because I’ve listened to all seasons of Spanish and French, and I was even thinking of going through German, although I’m far from a beginner in German. Your podcasts are just that interesting! Having a B2 certificate in French I still started from the beginning and still learned some new things. I’m decent in Spanish now. However, it haven’t been till I started Italian that I couldn’t be silent anymore. I’d like to express my appreciation and admiration of your professionalism and creativity. I’ve almost done with season 1 of Italian, and the episodes in Italy are the work of genius. I’m so excited and impressed by the idea and by the way you do it in such an easy and nonchalant manner. I’m enjoying the episodes greatly and hardly notice how I understand everything. I mean, I started a month ago and now I listen to you speaking Italian with Francesca and I understand every word! No, I mean it – every single word! And I don’t even know how you did that. Sure the Spanish and French background do a lot to help me, but the way you teach and the way the girls are collaborating (and the fact that you are all on the same wavelength emanating the same vibe) is simply incredible. 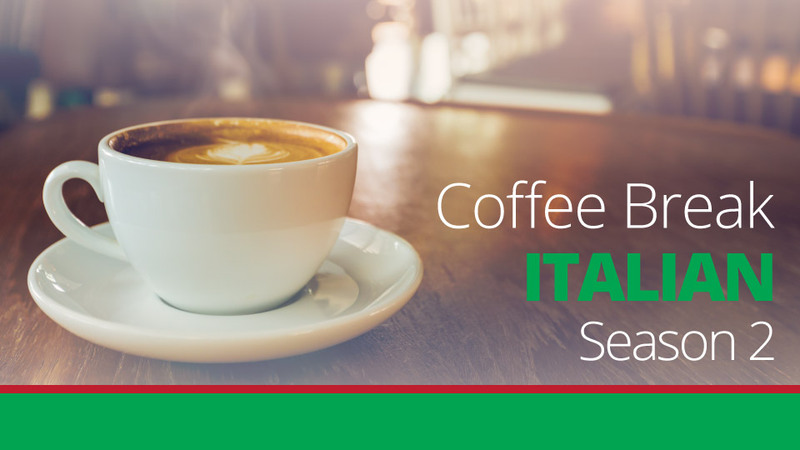 I’m going to visit Italy for the second time in October. First time I didn’t know a word and I remember speaking with a seller at a market in Spanish. Funnily enough, we could understand each other. But since then I decided I needed to add Italian to my piggy bank of languages. So, I’m looking forward to starting season 2. Actually, non vedo l’ora di cominciare! I’m mentally shaking your hand of a professional, Mark, and sending my heartiest hugs to Francesca and Katie (and also Alba, because was enchanted by her in the Spanish podcasts)).